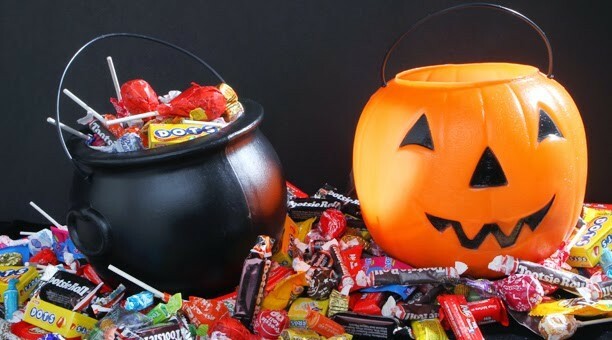 Halloween is around the corner, which for most children means bags of free candy and a chance to build a stockpile of sweets for the winter. No surprise, Halloween can also present parents with a variety of health and safety challenges, and questions such as these? How do I limit the damage to my children’s teeth? What do dentists give out on Halloween? Well, here are some tips that will help keep your children’s teeth healthy! Dr. Edward Catalano is a 1987 graduate of New York Chiropractic College. In 1991 he completed a 3 year post-graduate program by the American Board of Chiropractic Sports Physicians. In 2007 he began training with some of the top educators, and researchers in nutrition, functional medicine, and bio-identical hormone therapy. His goal is to help his patients in the prevention of disease and reduce the amount of medications through nutrition, proper supplementation, and lifestyle changes. Dr. Catalano is a Clinical Ambassador for ELISA/ACT Biotechnologies and PERQUE Integrative Health Speaker’ Bureau and a professional member of the Age Management Medicine Group, Alliance of NJ Chiropractors, and the Nutrition Education Council. And most recently, a founding member of the first New Jersey Chapter of the Holistic Chamber of Commerce, and named as a Top Doctor by NJ Top Docs. He brings 20 years of training and expertise to his patients. Use it or Lose it, What Does That Mean? Step 1: Fill a glass to the brim with Wilton’s Dark Green Candy Melts. Step 2: Using a Microwave, heat on high for 1 minute. Stir until smooth. If chocolate remains clumpy repeat step in 30 second intervals. Step 3: Dip strawberries into the chocolate melt until fully covered and set on the wax paper. While still wet add the candy eyes and allow strawberries to sit until chocolate coating firms. Step 4: Once firm draw on the zombies mouth using a fine paintbrush and black food dye. Serve and enjoy! 1. Refer a Friend or Family member to Holistic Dental Center by giving THEM one of our awesome Care to Share cards so they can get SPECIAL pricing on their first visit since YOU sent them! 3. YOU are placed in a drawing for one of 3 TOP PRIZES for the MOST REFERRALS! Now these aren’t just any prizes, they are FABULOUS gift baskets filled with INCREDIBLE holistic gifts and products from some of our Wellness Partners! So stock up on your Care to Share Cards! Give them to friends, family and neighbors! REMEMBER THIS IS A WIN WIN WIN and you gotta be in it to win it! Just bring someone in, and the reward is yours! Ask our receptionist for details.